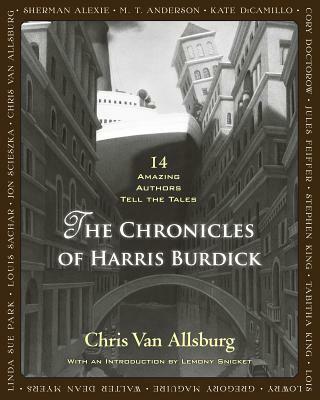 Back in 1984, Chris Van Allsburg authored a book called The Mysteries of Harris Burdick. Supposedly, he was recreating the art of one Harris Burdick, who left fourteen paintings at a man called Peter Wender’s office, with only the titles and a brief caption. The drawings were mysterious and wondrous all at the same time: something for parents and children to pour over and imagine. Of course the next logical step — albeit nearly 30 years later — is to get fourteen (including Van Allsburg himself) of the most talented children’s (and adult) writers to do the imagining for us. Each author — and there are some brilliant ones here: from Sherman Alexie and Lois Lowry, to M. T. Anderson and Kate DiCamillo , to Stephen King and Gregory Maguire — takes a different painting, and spins a story around it, incorporating the tantalizing caption that “Harris Burdick” gave to each painting. 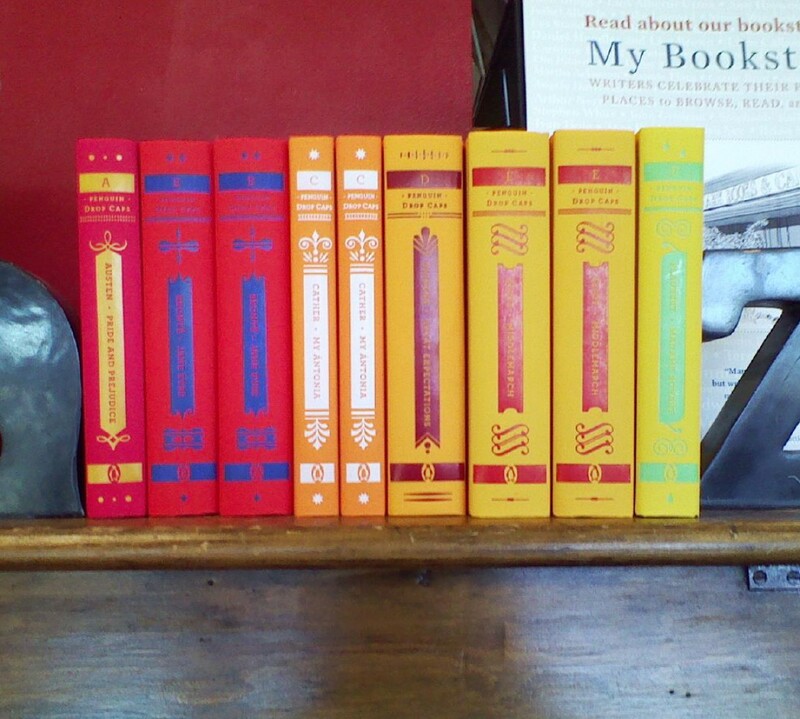 Let me say right off: this is not a picture book. I cannot imagine curling up with my 5-year-old and reading these stories. For one, they are much too long. For two, they are much too… old. This is an illustrated set of short stories, ranging from the disturbing to the strange to the whimsical, meant for older audiences to savor and think about. Like every short story collection, the stories themselves are uneven: I found Cory Doctorow’s “Another Place, Another Time” to be odd, full of science I couldn’t quite grasp; and Sherman Alexie’s “A Strange Day in July” to be terribly cruel in a ten-year-old bully sort of way. But, when the writing is on, the book is a marvel: Jon Scieszka’s “Under the Rug” is hilarious; Linda Lois Lowry’s “The Seven Chairs” is simple and magical; both Linda Sue Park’s “The Harp” and Louis Sachar’s “Captain Tory” are deliciously sweet; and Stephen King’s “The House on Maple Street” is perfect. It’s fascinating to see how each author’s imagination works with the painting, taking the small details and spinning them into a larger, more complex story, and yet leaving enough space that the reader can invent and hope and dream right along with. It’s one of those books that begs to be taken out time and time again, to read and look at, inspiring you to dream about both the possible and the impossible. In other words: it’s just the perfect sort of book. I did a paired reading of “A Strange Day in July” with a fourth grader and she absolutely loved the story. It is rather cruel, if you look at it from an adult's perspective, but as a young person reading a weird, wacky story is refreshing, I think.